Charlie Rose cracked through the perfect image of everyone’s favourite CEO, Jamie Dimon, on his show the other night. As Charlie Rose points out, that’s kind of like saying he’s too worried about helping his friends – it’s more of a virtue than a flaw. So come on, spill dirt, Duff. The biographer has to have some. After all, he says he’s gotten drunk with Dimon and his wife over cocktails at the Dimon apartment. 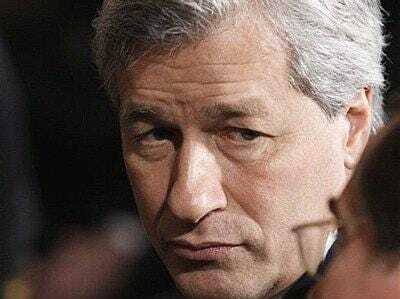 He’s spoken with tons of Dimon’s friends. So everyone’s scared of him.